Leadership Muscatine is a select group of individuals living in the Muscatine community with the drive and ability to enhance their leadership skills. Each year, the Leadership Muscatine class is chosen based on their leadership experience and community references. The class meets twice a month for seven months as a way to educate rising leaders in Muscatine on community history and to develop skills that will lead to lifelong success. Since its beginning in 1988, over 400 participants have graduated Leadership Muscatine. Those same graduates are many of the active members of the community who are involved in making Muscatine a great place to live, work, play, raise a family and retire. 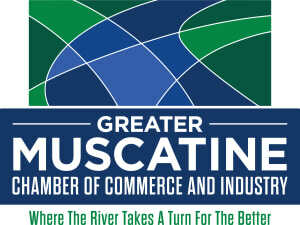 Leadership Muscatine is co-sponsored by the Greater Muscatine Chamber of Commerce & Industry (GMCCI) and Muscatine Community College (MCC). Participants, whether new to Muscatine or lifelong residents, gain a better understanding of the many organizations and their leaders who work to make Muscatine the rare gem it is today. Class members build strong friendships with other future leaders, while being challenged to make a positive difference in our community.